With the U.S. Centers for Disease Control and Prevention hoping to have 120 million doses of H1N1 swine flu virus vaccine ready before flu season this fall, some are raising concerns over what they see as an effort to rush the drug through safety trials. The source of many of these concerns is the probability that the mercury-containing preservative thimerosal will be an ingredient in some of the doses of the new vaccine. Concern over thimerosal has lingered for years, despite research that has overwhelmingly found it to be harmless. "We have yet to find any evidence that thimerosal ever hurt anyone," said Dr. Andrew Pavia, chief of Pediatric Infectious Diseases at the University of Utah. And while the heat is on manufacturers and governments to ensure that enough doses of the vaccines are available by this fall, when a possible swine flu resurgence is feared, government health officials say that by this time clinical trials will have taken place to determine the correct dosage and whether the vaccine should be delivered in multiple injections. Dr. John Treanor, a professor of medicine and immunology at the University of Rochester, added that the design and production of the swine flu vaccine should be much like that of the seasonal influenza vaccine, which is developed every year without the benefit of time- and cost-consuming clinical trials. "It's like a new product each year, and when we use it and we don't do clinical studies when [seasonal flu vaccines] are licensed because of the long history of flu vaccine safety," Treanor said. However, groups opposed to current vaccination practices continue to condemn thimerosal as a toxin responsible for the development of autism and related ailments in children. Additionally, the possibility that the swine flu vaccine could also contain an adjuvant, an ingredient that would allow more doses to be created from existing supplies of the vaccine, has also worried these groups. "We don't have adequate safety studies on this vaccine before we are moving forward to market," said Lyn Redwood, president and co-founder of the group SafeMinds. "I'm really not convinced that we know for sure that the risk of the disease outweighs the risk of the vaccine, especially since this is a brand new additive that we have never used before in combination with thimerosal." Some of the lingering fears surrounding a new swine flu vaccine may spring from a single black mark in the flu vaccine's 60-year history. During the 1976-77 flu season, a vaccine developed to prevent the spread of a strain of the swine flu was linked to an as-yet-unexplained increase in cases of a rare neurological condition known as Guillain-Barre syndrome in those who received immunizations. Medical professionals maintain there was no strong evidence to support the theory that the vaccine caused the neurological disorder. And they said overblown safety concerns should not prevent people, particularly those at high risk of infection such as children and pregnant women, from receiving this year's swine flu vaccine. "Public perception plays a very important role in how vaccination campaigns succeed," Treanor said. "It will be important to provide transparency and up-to-date safety information." Donna Cary, a spokeswoman for Sanofi-Aventis, the company that will manufacture the swine flu vaccine, said that they have received an order from the Department of Health and Human Services for a bulk amount of vaccine but that the formula is still to be determined. However, they expect they will be manufacturing two varieties of the vaccine. 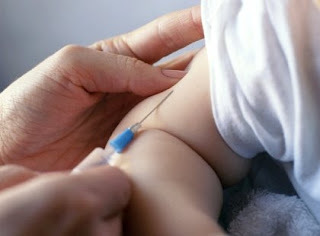 "The anticipation is that we will be producing both a thimerosal-free and a vaccine containing thimerosal," Cary said. "Because of the quantities they're talking about, multi-dose vials will be used." Using thimerosal and multi-dose vials makes vaccines cheaper to manufacture and distribute, Treanor said. Still, Pavia said, there will likely be enough doses of thimerosal-free vaccine for very young children whose parents fear that the chemical will have some negative effect. Taking such steps, he said, may further ensure than those who need this important vaccine will receive it. “Deke,” the school bully, has a learning disability. “Tommy” is an autistic student and a target for playground teasing. 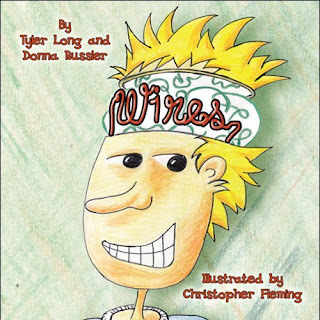 In “Wires,” a children’s book written and illustrated by three Berkeley County schoolteachers, the fictional characters somehow become fast friends. Co-authored by Donna Russler and Tyler Long and illustrated by Christopher Fleming of Tuscarora Elementary School in Martinsburg, the book was written to help general education students and teachers better understand students who are autistic. Autism is a developmental disorder that affects social behavior, communication, fine motor skills and other behaviors. Long, who teaches students with learning disabilities, estimated nearly 1,000 copies of the book have been sold since its publication was announced in April. The teachers have donated more than $1,000 in proceeds to the school’s library. The book has attracted interest from other educators. A Shepherd University professor purchased 20 copies for the school’s education program, Russler and Long said. The book also was approved for use in the Manassas Park, Va., school district, Russler said. They also discussed the book with West Virginia Superintendent of Schools Steven Paine and Gov. Joe Manchin in April and presented the officials with signed copies. The authors will be at Waldenbooks at Valley Mall in Halfway on Saturday from 1 to 4 p.m. for a book signing. The book was started as a project for a children’s literature class Russler took two years ago. Long suggested they publish the story, which is not based on any particular students. “I had these ideas, but I didn’t know how to put them on paper — that’s where (Long) came in,” Russler said of their collaboration. Russler and Long since have decided to write another book about teamwork and good sportsmanship, and said they might write more books after that. “We want to go all the way down the guidance curriculum,” Long said. Russler, 50, who has worked with autistic students for 12 years, said she only accepted the job with the intention of “getting her foot in the door” to become a kindergarten aide. Long, 30, said he first went to school to become a police officer and “fell into this” after about 18 months of working at a correctional facility for children in Falling Waters, W.Va.
“Working with special-needs students, they make every day fun,” he said. Long said he first worked with students who had behavior disorders when he was hired about six years ago and has been teaching students with learning disabilities for two years. While Russler never considered writing a book before her class project, Long said he always wanted to write a history book, but was at a loss for how to do it. His desired topic? Joseph P. Kennedy Jr., the older brother of President John F. Kennedy. Fleming, who teaches mentally impaired students at the school, was unavailable for an interview this week. Paralympian and family have house adapted by "Extreme Makeover: Home Edition"
From the Dayton Daily News. In the picture, Ty Pennington and other designers surprise James and Shannon Terpenning with a knock on the door from "Extreme Makeover: Home Edition" July 30. Terpenning, a civilian computer specialist at Wright-Patterson Air Force Base, learned his family would be on the hit show after getting a knock on the door July 30, from “Extreme Makeover” host Ty Pennington. Nominated by a three-star general, Terpenning, 40, said he’s thrilled by the prospect of a home that will make life easier for his seven-member family, including his four small children, wife Shannon, 33, and his brother Peter. The family lives in a 1,200-square-foot, three-bedroom house with a basement on Carthage Drive. Terpenning, who has won top medals in the Paralympic Games and acts as a mentor to disabled Iraqi vets, uses a wheelchair following a bout with polio as an infant in Vietnam. James is the son of a G.I. who abandoned him. He was later adopted by an Ohio family. Peter, 42, also uses a wheelchair, and in the tight confines of their home, it’s no easy task to get around. Peter has cerebral palsy. Their current home will be bulldozed, and the new one will be revealed to them next week after the family returns from a paid weeklong vacation at Disney World. The demolition is expected to be on Saturday. “I’m hoping it will be more wheelchair-accessible and with more open space, not stepping on each other’s toes,” James said. The production crew flooded the Terpennings’ quiet Beavercreek neighborhood on Thursday with security details, television trucks, producers and countless volunteers. In addition to Pennington, fans, neighbors, city officials and community members caught a glimpse of country singer Kellie Pickler and the “Extreme Makeover” crew as they shot scenes for the episode that’s set to air this fall. Local home builder Coventry Fine Homes will construct the house, along with roughly 1,500 volunteers, in about 106 hours. These days, only one thing makes Landen Greene (pictured) extremely giddy. "He loves the water," says Tami Greene, Landen's mother. "Anytime he can get in the water, he wants to be in the water." But splashing around in the water isn't enough for the 12-year-old. He prefers to be cruising through it, full throttle. "There's no speed limit in the water," smiles Landen. No limits period, thanks to Patricia Neal Rehabilitation Center's Adaptive Ski Clinic. Greene has Cerebral Palsy and is unable to walk unassisted. "We've skied people with no legs and arms," says Al Kaye with Patricia Neal Rehabilitation Center. 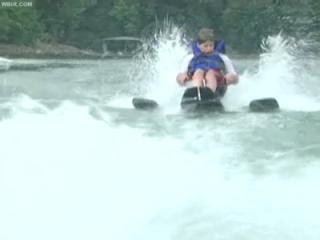 With a special ski, called a can, and a wingman, Landen rides the wake in a seated position. "The first time--I cried. I screamed. I was scared to death, but then, you just cheer," says Tami. When he's up, he's free. Free of Cerebral Palsy. Free of disability. To Landen, being behind the boat is literally the best seat in the house. "It's a blast," says Landen. Every day, Landen works on his arm strength. "He wants to be able to hold his ropes. And then, once we get that, we're working on our balance, so maybe we can get rid of the out riggers," says Tami. Ultimately, Landen wants to tame the water standing, not sitting! "He's actually seen somebody on the wake board, and he's decided he wants to try to do that," says Tami. "And, I'm not quite up for the wake board yet!" And, after that, forget land and water. Landen will seek new heights, literally! "Somebody's actually suggested hang gliding next," laughs Tami. "Yeah, he can do just about anything." DETROIT -- An Oakland County Circuit Court Judge filed a lawsuit July 31 against Blue Cross Blue Shield of Michigan. In her suit, Judge Cheryl Matthews alleges that Blue Cross wrongfully refused to cover the costs associated with the applied behavioral therapy provided to her son, who has autism spectrum disorder. This suit was filed approximately a month after another challenge to Blue Cross' wrongful refusal to pay for autism therapy resulted in Blue Cross paying $1,000,000 in damages. That case -- Christopher Johns v. Blue Cross Blue Shield of Michigan -- was the first successful challenge to an insurer's refusal to pay for applied behavioral analysis, and the families in that case were represented by Gerard Mantese and John J. Conway. Mantese, co-counsel for Judge Matthews, stated, "It is unfortunate that Blue Cross continues to violate its own insurance policies by refusing to provide needed health care to these children. It has already been demonstrated in the federal case we just settled for Mr. Johns that applied behavioral therapy is highly effective, yet Blue Cross persists in refusing to provide coverage. The bottom line is, these children are entitled to this care." The Johns v. Blue Cross suit was filed in federal court and addressed applied behavioral therapy that was provided by Beaumont Hospital. This new suit filed by Judge Matthews challenges Blue Cross' refusal to authorize this treatment at a similarly credentialed facility, the Early Intervention Center, which is located in Southfield, Michigan. Judge Matthews stated, "The scientific studies show that this therapy helps autistic children improve their lives. Shame on Blue Cross Blue Shield for intentionally choosing to neglect autistic children." Co-counsel, John Conway, stated, "We will bring as many of these suits as we have to, to force Blue Cross to comply with their contracts and with the law. Blue Cross' actions are indefensible and we expect to prevail." Hamilton Telephone Company, d/b/a Hamilton Telecommunications, July 31 announced an agreement with The Louisiana Relay Administration Board to provide Captioned Telephone service in Louisiana beginning August 1, 2009. Similar to closed captioning provided on most television programs, Captioned Telephone service is designed for individuals who have difficulty hearing on the telephone. Captioned Telephone (CapTel®) technology, developed by Ultratec, Inc. of Madison, Wisconsin, allows individuals with hearing loss to view word-for-word captions of their telephone conversations using a CapTel phone. This device is ideal for individuals who use their own voice while conversing on the telephone but may have trouble deciphering the words of the other party. Through the efforts of the Louisiana Relay Administration Board (a board created by the Louisiana Public Service Commission to administer the state-wide program that provides access to telecom services for people who are hard of hearing, deaf, deaf-blind and speech disabled), Louisianans now have a new option available for communicating via the telephone. "We are thrilled to provide CapTel service to the residents of Louisiana as many across the state have expressed interest in the service," says Dixie Ziegler, Vice President of Hamilton Relay. "Hamilton's goal is to provide its customers with the latest developments in telecommunications technology, resulting in services that are functionally equivalent to traditional telephone services." Individuals with hearing loss in Louisiana have looked forward to the availability of captioned telephone. Ann Boyd, who has lost her hearing, has been active in expressing her desire for the service and is excited about the startup on August 1st, "You could not have given me any better news! I was just thrilled to learn that Louisiana will be offering CapTel services beginning in August to its citizens who are hard of hearing. As you know, it is the news I've been waiting to hear! I am really looking forward to being able to use CapTel when making and receiving calls. With both volume control and captions, the CapTel phone is an effective and comfortable way for those with mild to profound hearing loss to make phone calls to businesses, doctors, dentists, family members, grandchildren and friends with greater ease and understanding." To make a call, the CapTel user dials the number of the person they wish to call on the CapTel phone. The call is then connected to the service which provides the captioning. Using state-of-the art voice-recognition technology, a specially trained operator "re-voices" everything said by the standard telephone user, converting speech into text. The captions appear almost simultaneously with the spoken word, allowing CapTel users to understand everything that is said by listening along with reading the CapTel phone's screen. The CapTel phone features adjustable levels of amplification which extend to an additional 35 dB and works in conjunction with a hearing aid's telecoil. CapTel is a telephone designed to allow the user to have natural back and forth conversations with the support of captions. Barely 24 hours after the ratification of the UN convention on the Rights of People with Disability, the chairman of the Sierra Leone Amputee Association Alhaji Jusu Jaka Ngobeh expressed serious doubt over their own status in the whole ratification. “Even though I have not set eyes on the UN Convention on the Rights of People with Disability but by virtue of our current status as amputees we should be considered as part of those with disability,” he stated. “Listening to the Minister of Social Welfare, Gender and Children’s Affairs Soccoh Kabia on Tuesday this week, he never took cognizance of amputees instead he focused more attention on polio victims and the blind forgetting that we are coming from war situation where there are high percentage of disability from all categories of society, which ranges from sexual base violence victims, war wounded amputees and the list continues” he said. He also stated that, all the polio victims were and other categories of disabled people were present in Parliament but amputees were never invited to witness the ratification. He said they have never been consulted on disability matters and as such they are always left out on issues affecting them. On the reparation exercise he said, some 27,000 amputees have registered with NaCSA under the emergency grant, adding that all those registered stand better chance to benefit from the subsequent reparation packages. LOS ANGELES -- One in five students have dyslexia -- a disability that makes learning, and especially reading, difficult. Most cases aren't diagnosed until 3rd grade or later. By then, their chances of catching up in reading are just 1 in 7. But some educators are tackling the problem before a child even knows how to open a book. Kennedy Woodward is 6 years old and she devours books. "Now I can read all the words, but sometimes I need some help because it's a long word," said Kennedy. But her hunger for reading and writing wasn't always this strong. "She would start writing some of her letters and her numbers backwards," said Sandy Woodward, Kennedy's mom. In preschool, Kennedy showed early signs of dyslexia. "We want to identify children early because this is basically a treatable condition. We want to catch them really before they have a chance to fail," said Laura Bailet, Ph.D., neurocognitive specialist. Having a parent with dyslexia boosts a child's chances of having it by 30 to 40 percent. Other red flags are: trouble recognizing their names in print, struggling with letter names, sounds and rhyming. A new test looks for dyslexia in kids as young as 3 years old. If they fail a series of rhyming and letter questions, they're enrolled in a nine week alphabet-intensive program. "The children who were all below average when they started our educational intervention, almost 70 percent of them, moved to the normal range," said Bailet. After getting help, Kennedy raised her test score from 40 to 95 percent. "My belief is if you can be successful in reading you can be successful in anything in life," said Sandy. Kennedy's taking on childhood one page at a time. It's a common myth more boys are dyslexic than girls, but one study shows boys are more likely to get noticed because they tend to act out when frustrated. 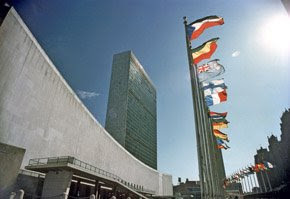 UNITED NATIONS — Amid applause and a smattering of hoots, the US ambassador to the United Nations on July 30 signed a landmark UN convention promoting and protecting the rights of the world's 650 million disabled people. 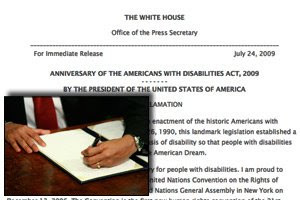 Present at the signing ceremony at UN headquarters were President Barack Obama's senior aide Valerie Jarrett; William Kennedy Smith, a US advocate for the rights of the disabled; and representatives of American disabled groups. Rice noted that the United States was joining 141 countries in signing what is the first major human rights treaty of the 21st century. Signatory countries are expected to enact laws and other measures to improve disability rights and to abolish legislation and practices that discriminate against the disabled. The UN convention, which was adopted in 2006, "urges equal protection and equal benefits under the law for all citizens," the US ambassador said. "It rejects discrimination in all its forms and calls for full participation and inclusion in society of all persons with disabilities." Thursday's signing "represents a profound shift and an engagement not only in disability rights, but with the international community in general that has happened since the change in (US) administration," Smith said. Rice highlighted the significance of the treaty by pointing to the glaring inequalities the disabled face in obtaining healthcare, education and work. According to a June 2009 poll by the US Bureau of Labor Statistics, for example, unemployment among disabled people in the United States stands at 14.3 percent, compared with 9.5 percent for persons with no disability. Obama will soon bring the treaty before the US Senate for ratification, she added. Jarrett, meanwhile, took the opportunity to announce the creation of a new senior-level disabilities human rights position in the State Department. "This individual will be charged with developing a comprehensive strategy to promote the rights of persons with disabilities internationally," she added. "Discrimination against people with disabilities is not simply unjust, it hinders economic development, limits democracy and erodes society," Rice added. Debbie Purdy (pictured) has won a significant legal victory in the House of Lords which lawyers are describing as a turning point for the law on assisted suicide. 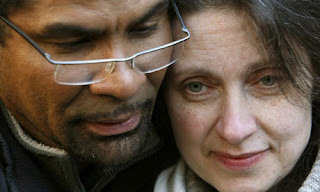 Purdy, 46, from Bradford, West Yorkshire, who has primary progressive multiple sclerosis, succeeded in arguing that it is a breach of her human rights not to know whether her husband, Cuban jazz violinist Omar Puente (pictured), will be prosecuted if he accompanies her to Swiss clinic Dignitas where she wishes to die if her condition worsens. The decision – the last ever by the law lords before they recommence work as justices of the new supreme court in October – went further than expected in Purdy's favour, lawyers say. Ordering the director of public prosecutions to issue a policy setting out when those in Puente's position can expect to face prosecution, the court ruled that the current lack of clarity is a violation of the right to a private and family life. "It's a complete victory," said Saimo Chahal, partner at Bindmans who represented Purdy. "I always knew we would have to go to the House of Lords to get a judgment that was reasoned and considered." Purdy's two previous attempts to request a policy from prosecutors failed after the courts said the current situation was lawful. Despite at least 115 British people already known to have travelled abroad for an assisted suicide, with an average of two a month since 2002 and despite scores of police investigations, not a single family member has been prosecuted. A report last month from campaign group Dignity in Dying, which has supported Purdy's case, warned that a further 34 Britons were in the final stages of travelling abroad for the same purpose. Earlier this month renowned British conductor Sir Edward Downes, 85, and his wife Joan, 74, joined those who have ended their lives at Dignitas. Their death, watched by their children Caractacus, 41, and Boudicca, 39, is still the subject of a police investigation. In a further development last year, DPP Keir Starmer published a decision not to prosecute the relatives of 23-year-old rugby player Daniel James even though there was enough evidence, because it was not in the public interest. Campaigners welcome today's victory for Purdy as a recognition of rights for those who wish to die in a manner of their choosing, and say that what is ultimately needed is a change in the law. "Parliament urgently needs to acknowledge the fact that people are travelling overseas to die – and this trend shows no sign of stopping", said Sarah Wootton, chief executive of Dignity in Dying. "It's time the 1961 Suicide Act was brought up to date to reflect what's really going on in UK courts". Parliament has so far resisted attempts to change the law, with the latest proposals defeated in the House of Lords by 194 votes to 141 this month. But campaigners say today's ruling will place unprecedented pressure on parliament to act. "This case means the DPP will have to publish the factors for and against prosecuting those who assist suicide abroad, but it would only be retrospective," Wootton said. "But it sends a clear message that the law can distinguish between different types of behaviour, and saying that compassionate assistance is not a crime. Surely parliament will need to react to that." SACRAMENTO — Johnathon Hoover and Alessandro Neri — two recent high school graduates with physical disabilities — traveled to Sacramento this week as Ventura County delegates in a forum of disabled students. Hoover and Neri were two of 59 students with disabilities from throughout the state who attended the Youth Leadership Forum. The five-day forum offers disabled students the chance to network, meet disabled professionals, and learn new ways of reaching their career goals. “I’ve faced a lot of persecution because I wasn’t a ‘normal student,’” said Neri, 18, of Newbury Park High School, who has a rare growth disorder called Sotos syndrome. He said a disabled person is often seen as just that, disabled. Forum co-chairwoman Teresa Favuzzi said this stigma often discourages disabled youths, who often have few role models. The forum, she said, allows students to learn they are not alone. Hoover, 18, was born with cerebral palsy. He said he went to the Sacramento forum to achieve his goal of owning a business. “I want to see my name on a building someday,” said Hoover, an Oxnard native who went to Santa Barbara High School. He hopes to go to Oregon State University and study business. Hoover said he has always been told this would be impossible. During the forum, Hoover met Dana Lamon, a blind California judge. Hoover said meeting Lamon strengthened his resolve to go into business. For Neri, coming to Sacramento was especially exciting, as he hopes to go into politics. “I hope to become an advocate and a fundraiser for good causes, like disability programs.” Neri said, noting he is already a member of the Democratic Club of Conejo Valley. Neri, Hoover, and other students went the governor’s office Wednesday where they met Jim Krider, former vice mayor of Napa, who uses a wheelchair. Fillmore resident and forum counselor Jonas Gomez said the event can be life-changing for disabled students. Gomez, whose left arm is paralyzed, attended the forum after graduating from Fillmore High School in 2004. The forum was first held in 1992 and is conducted by the Employment Development Department, the Department of Rehabilitation, and private groups. PESHAWAR -- Three more polio cases were reported on July 30 in the militancy-hit Bajaur tribal region and Upper Dir district in Malakand, raising the total number of polio cases to 10 this year in the province. Provincial TB Control Programme manager, Dr Syed Mujahid Shah confirmed the new polio cases and argued that the areas where fresh cases surfaced were inaccessible for health workers. Interestingly, the two unfortunate kids in Bajaur’s Arang and Mamond areas were reportedly administered polio drops in the three rounds of anti-polio campaign. Officials in Bajaur said they had confirmed P-III virus to the ill-fated Omar Khan son of Gul Wazir of Regi village of Mamond subdivision. Mamond subdivision in Bajaur has been under the control of Taliban militants led by Maulana Faqir Muhammad for the past one year, making it hard for the government employees including health workers to do their jobs. The second child detected with P-I virus is a baby girl, identified as Afsana Bibi daughter of Sher Mohammad. An official of the health department based in Bajaur said on condition of anonymity that Afsana was properly administered polio drops during the vaccination campaign in the area. He said Arang area of Bajaur has been under the control of militants and health workers had freely worked to vaccinate kids against poliovirus. He said some clerics and militants were though launching a malicious propaganda against the immunization. He did not believe people would have paid any heed to their statements. Another official in Bajaur blamed workers affiliated with the TB control programme for the new cases, saying, they never ensure immunization of kids in areas such as Bajaur. Also, he said, some of the health workers and sometime volunteers associated with the TB programme rarely take care of the polio drops due to lack of facilities. The official said he has observed in certain cases that polio drops were often exposed to sunlight in remote areas, thus making their whole exercise futile. The lack of proper monitoring and then less incentives to the workers serving in Another child reported with poliovirus in Upper Dir, but it was not clear whether the kid received polio drops or not. There has been no refusal in Upper Dir recently and the polio teams did not face any such problems in vaccinating children against polio. Dr Mujahid Shah said he was working with his team members to collect complete information about the three kids reported with poliovirus. He said like several other kids, the three children might not have received polio drops and therefore could have possibly become prey to the poliovirus. With these three new cases, the total number of polio victims in the NWFP rose to 10. Besides, two each polio cases were detected in Mohmand, Bajaur and Charsadda, and one in Kohistan district. adverse conditions in restive regions to vaccinate kids despite propaganda by the militants and mullahs were said to be some key factors making the immunization campaign a failure. The USDA has awarded $199,000 to the University of Idaho-Moscow for the Idaho AgrAbility Project, designed to help farmers and farm family members with disabilities. Nationwide, the USDA awarded $4.1 million in grants to 22 states. The AgrAbility program helps thousands of disabled people overcome barriers to continuing their chosen professions in agriculture, Agriculture Secretary Tom Vilsack said in announcing the grants on July 23. 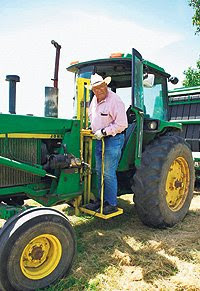 "Given the right resources, farmers with disabilities can run productive and profitable farms," Vilsack said. "The AgrAbility program can provide the resources and tools producers need to enhance their quality of life and be successful." USDA's Cooperative State Research, Education and Extension Service awards the funds to land-grant universities that work with nonprofit disability organizations. Projects include educating professionals on how to assist those with disabilities and directly training disabled agricultural workers. The program has improved customers' financial stability, access to life activities and the ability of states and regions to deliver timely services to those with disabilities. The Idaho AgrAbility Project began in 1992. Previously, the AgrAbility partnership was directed by United Cerebral Palsy of Idaho. In January, it came under the direction of the Idaho Center for Assistive Technology in an effort to reach more producers. "We thought we were losing too many people because they thought it was just for people with cerebral palsy," said Robert Renteria, public relations specialist for the Idaho Center for Assistive Technology in Boise. The project assists farmers and their family members with any type of disability. Disabilities do no have to be a result of an ag-related accident, he said. "It can be from a hunting accident, auto accident, walking outside and slipping on ice, arthritis, back pain, a degenerative disease," Renteria said. The Idaho AgrAbility Project includes three partners: the University of Idaho Cooperative Extension System, the Idaho Assistive Technology Project, both in Moscow, and the Idaho Center for Assistive Technology in Boise. "What we're really trying to do is help find a way to run an operation to provide independence and prevent secondary injuries," Renteria said. "We'd really like to keep as many people in ag working as independently as possible." The AgrAbility Project will do a confidential on-site assessment, bringing in the Idaho State Department of Vocational Rehabilitation to see if the person qualifies for its programs and put people in touch with suppliers of disability products and equipment modifications. The project provides services, but does not provide money or products. Congress authorized the AgrAbility Project in the 1990 Farm Bill. Since initial funding in 1991, CSREES has awarded grants to more than 30 states resulting in on-farm assistance to more than 12,000 farmers. Australia has cleared the way for people to take complaints about disability discrimination policies to the United Nations — including prospective migrants with disabled children. The Rudd Government announced July 30 that a year after signing the UN Convention on the Rights of People with Disabilities, it intends to agree to the optional protocol that establishes a complaints mechanism for breaches of the treaty. People will only be able to take their complaints to the UN disabilities committee if they have exhausted all possible avenues of redress inside Australia. "Accession to the protocol is important," Attorney-General Robert McClelland will say in a speech to be delivered today. "It not only permits international scrutiny of our laws and practices, but also demonstrates our commitment to re-engage with the international community and to provide leadership in our region." One potential area where Australia could come under international scrutiny is its migration laws, which are exempt from its disability discrimination laws. Last year, the Government came under pressure after it was revealed that German doctor Bernhard Moeller, who had been working in Horsham in rural Victoria, was refused permanent residency because he had a son with Down syndrome. Immigration Minister Chris Evans intervened and overturned the decision. Following the controversy, the Government set up a joint standing committee inquiry into the health requirements in the Migration Act, to be chaired by Victorian MP Michael Danby. Its terms of reference are still being finalised. Article 18 of the UN convention recognises the rights of people with disabilities to "liberty of movement, to freedom to choose their residence and to a nationality". But when Australia signed the convention last July, it did so with a number of "declarations". One of these sought to exempt Australia from article 18 of the convention because of the country’s migration laws. Australia’s declaration states its "understanding that the convention does not create a right for a person to enter or remain in a country of which he or she is not a national, nor impact on Australia’s health requirements for non-nationals seeking to enter or remain in Australia, where these requirements are based on legitimate, objective and reasonable criteria". Lawyers have questioned whether this declaration is consistent with the convention. The College of Arts and Sciences has launched a Center for Disability Studies, a partnership between CAS and People Inc. aimed at advancing greater acceptance of persons with disabilities in the community. The goal of the center, which is housed in CAS, is to encourage the study, teaching and accurate representation of disability, and of individuals with disabilities, says David Gerber, UB Distinguished Professor in the Department of History and center director. The present task of the center, which is operating on a three-year trial basis, is to sponsor a visiting scholar for one semester each academic year for the three years. The scholar, Gerber says, will teach a course on disability history in his or her academic discipline, deliver a public lecture or presentation, and help open a new “wing” of People Inc.’s Museum of disABILITY History’s online virtual museum , as well as consult on new exhibits for the traditional museum, located at North Forest and Maple roads in Amherst. The scholar also will help plan the Disability Film Festival that is held each fall in the Market Arcade Film and Arts Center in downtown Buffalo. The center held an inaugural event last April that featured a keynote address on “When Blind People March for Dr. King,” by Catherine Kudlick, professor of history at the University of California-Davis and president of the Disability History Association. Gerber, whose scholarly interests include the history of disabled World War II veterans, notes that the center furthers the agendas of both People Inc. and UB. People Inc. is working to create greater understanding of persons with disabilities and expand their integration into the community. For years, many persons with disabilities lived in large institutions, but that is no longer the case—partly due to the cost, and partly because that model is outmoded, he says, adding that the general consensus now is that it is wrong to “warehouse” persons with disabilities. People Inc. worked with Assembly member Mark Schroeder to get the state Legislature to establish an annual Disability History Week (the resolution, passed in June 2008, sets the third week in October as Disability History Week) during which teachers in the public schools would help students learn how persons with disabilities were instrumental in changing history and how they became active participants in changing societal attitudes. From UB’s perspective, the center would help further the emergence of disability studies as a new multidisciplinary field of study, he says. The search for the visiting scholar is under way and being conducted by the center’s advisory committee, which includes members Francisco Vasquez, executive vice president of People Inc. and adjunct faculty member in the Social Sciences Interdisciplinary Degree Programs (IDP); James Boles, CEO of People Inc., ex officio; Susan Cahn, associate professor of history; Lee Dryden, director of the Social Sciences IDP; Ann McElroy, associate professor of anthropology; Edward Steinfeld, professor of architecture and director of the Center for Inclusive Design and Environmental Access; John Stone, clinical associate professor of rehabilitation sciences and director of the Center for International Rehabilitation Research Information and Exchange; and Cynthia Wu, assistant professor of American studies. The goal is to have a scholar on board for the spring 2010 semester, Gerber says. Mayor Michael Bloomberg said that meeting the needs of disabled New Yorkers is a top priority. The mayor spoke at New York University July 28 during the first-ever Disability Summit. He touted the advances the city has made in making buildings, parks and transportation more accessible to the disabled, but said he would like to do more. "I want to make sure we are a leader in providing services to people with disabilities," said Bloomberg. "We really do want to make sure that all New Yorkers enjoy everything that is possible about our great city and our great country. That's why breaking down the remaining barriers really is a top priority." The summit was organized by the Fund for the City of New York and the Disabilities Network of New York City. 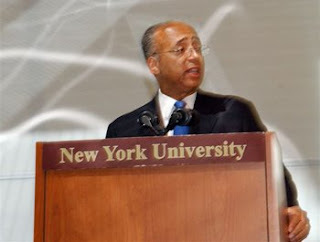 New York City Comptroller William C. Thompson, Jr. (pictured) July 28 called for stronger oversight of the Access-A-Ride program, charging that contractors routinely blame disabled New Yorkers for not showing up when the contractors may in fact be leaving them at the curb. 6.3% of the 5.8 million assigned trips were no shows – a total of 362,587 trips. Thompson’s audit charged that NYCT had no systematic method to evaluate how accurate its contractors were in classifying who was responsible for a no show – the contractor, the passenger, or neither. The Metropolitan Transportation Authority’s New York City Transit manages Access-A-Ride, the City’s paratransit system. Access-A-Ride provides door-to-door transportation for people with disabilities who are unable to use public bus or subway service. Service is available 24-hours a day, seven days a week, throughout the five boroughs. Private carriers under contract with NYCT provide the Access-A-Ride service. During Calendar Year 2008, NYCT contracted with 14 private companies. Contracts with three of these vendors were not renewed by NYCT for Calendar Year 2009. Access-A-Ride customers can phone up to two days in advance to schedule a trip. Once scheduled, the customer must be at their pickup location and be prepared to wait up to 30 minutes after the scheduled pick up time. Access-A-Ride vehicles arriving during the 30-minute window plus a 15 minute grace period are considered to be on time. According to an Independent Budget Office report, the cost of operating Access-A-Ride has more than doubled between Calendar Years 2000 and 2005 because of a large increase in ridership. Over this six-year span, annual operating expenses increased from $85.2 million to $189.8 million while annual ridership increased from 2.3 to 4.7 million trips. In Calendar Year 2008, the total cost of the program for the 14 carriers was $242.8 million for approximately 5 million completed trips. Thompson’s audit demonstrated that for vehicles without GPS, NYCT cannot accurately evaluate the no-shows or the arrival times reported by its vendors. For vehicles in the review that did have GPS, nearly one-quarter either did not have the system turned on or said it was not working, making it difficult to corroborate the records for those vehicles as well. “Predictably, we found that nearly two-thirds of misclassified no-shows were originally recorded in favor of the contractor and at the expense of the customer,” Thompson said. “Such carelessness on the part of Access-A-Ride vendors can have enormous consequences. Finally, Thompson noted that NYCT was unable to provide his office with evidence that the City takes meaningful steps to discuss complaint patterns with individual carriers or require corrective action plans from carriers to improve the quality of the service. “This shows a stunning indifference to the challenges faced by New Yorkers with disabilities, and it is simply unacceptable,” he said. -- Prepare written guidelines to ensure that no-shows are reviewed in a systematic and consistent manner. -- Enhance its monitoring of no-shows to ensure that each vendor is reviewed continually. -- Include the total number of no-shows that are reviewed in its no-show reconciliation-review reports so that the error rates for vendor no-show classifications can be determined. -- More closely monitor analysts’ no-show reviews to ensure that questionable no-show classifications by vendors are adequately identified and reclassified. action to correct the identified problems. -- Ensure that its contract managers more clearly document their discussions with vendors on performance issues. From The Star-Ledger. 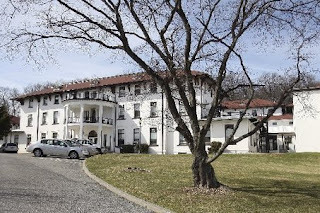 In the picture, Senator Garrett W. Hagedorn Psychiatric Hospital in Glen Gardener, Hunterdon County, which currently houses 85 patients eligible for release. TRENTON -- Nearly 300 patients stranded inside the state's psychiatric hospitals for more than a year because of a lack of housing and outpatient treatment services will be discharged over the next five years, under a lawsuit settlement announced July 29 by a disability advocacy group and the state Department of Human Services. The 2005 lawsuit contended New Jersey's five psychiatric hospitals routinely and illegally confined hundreds of patients every year who are medically ready to leave but languish because they don't have an affordable place to live with nearby treatment services. Without the state committing to "fix the problem by a specific date," according to the lawsuit by Disability Rights New Jersey, the state violates the 1999 U.S. Supreme Court decision known as Olmstead, which required people with disabilities be allowed to live in the least restrictive setting possible. The settlement now requires the state within five years to discharge 297 patients waiting for more than a year for housing and outpatient care, and to create affordable and supervised housing for 1,065 future patients leaving hospitals, or as an alternative to inpatient care. At the end of five years, the state also must adhere to a rule that no patient waiting for discharge - known as "conditional extension pending placement'' - will wait longer than four months. The state will commit $5 million a year toward carrying out the settlement starting immediately, said Deputy Human Services Commissioner Kevin Martone, who blame the state's prolonged budget problems for delaying the settlement. "Philosophically, we were on the same page but there are the practical realities we face in state government, and that is what took time,'' Martone said. As of July 10, officials said 735 of the roughly 1,900 patients in state hospitals were medically cleared to leave. That includes 248 patients from Ancora Psychiatric Hospital in Camden County; 215 patients in Greystone Park Psychiatric Hospital in Morris County; 187 in the Trenton hospital in Mercer County and 85 at the Senator Garrett W. Hagedorn facility in Hunterdon County, Human Services spokeswoman Ellen Lovejoy said. "This settlement reflects both parties' dedication to protecting the civil rights of people with mental illness and advances the department's philosophy of community integration," Governor Jon S. Corzine said in a prepared statement. From The Worcester Telegram in Massachusetts. You can watch the short documentary here. Local filmmaker and musician Kaz Gamble didn't want to make the customary (i.e. bor – ring) corporate film for the Asperger's Association of New England. So he took … a gamble. When the association saw the personal story, a short documentary called “My Brother Tom,” “they ended up loving that version, and that's what they used, so it worked out really well,” Gamble said. Now the film has gone on to a life of its own beyond the Asperger's Association fundraising event for which it was initially made. Gamble's film was shown at the New Hampshire Film Festival and the Dam Short Film Festival in Nevada. July 29 it was screened at the Woods Hole Film Festival on Cape Cod, where it has been nominated as best documentary short. “Contrition,” a film by Princeton director John Stimpson, was screened July 25 at Woods Hole. “It was very well-received,” Gamble said. The film will have a second screening Saturday. Both “Contrition” and “My Brother Tom” were produced by Worcester film diva Andrea Ajemian (“Still Green,” “Rutland, USA”). 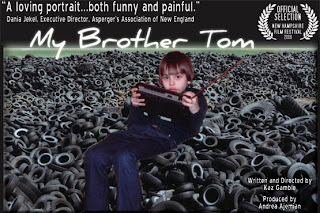 A 10-minute version of “My Brother Tom” can be seen on the Asperger's Association of New England Web site. ( www.aane.org). Gamble is showing a 12-minute version at film festivals. “It's 20 percent longer,” he said. “I guess you could call it the director's cut.” Jokes aside, the festival circuit was always his Plan B, a fallback had the association decided to go with a more standard corporate piece. “I was planning on showing it through these film festivals to figure out if people would even be interested in seeing it, and the response has been really great,” Gamble said. He plans to ask around to see if there is any interest in a Worcester screening. Through video, family photographs, voiceovers and music the film tells the story of his family's struggle to understand Tom as he grew up with undiagnosed Asperger's, a neurological condition that generally is considered a form of autism. The condition, which is still being defined by clinicians, often is marked by deficiencies in social and communication skills. The Woods Hole Film Festival awards will be announced August 1, but accolades were not Gamble's main motivation in making this film. Evelyn Tileston’s office looks like any other workspace. She has a desk with a computer and pictures of her family on a shelf. The difference is, Tileston (pictured) can’t see the pictures of her family. “It’s nice to have them there anyway,” she said. Tileston, who is blind, is the executive director for the Independent Life Center, 483 Yampa Ave., where half of the employees and board members also have disabilities. The center, certified as one of 10 centers for independent living in the state, is a supporter of Northwest Colorado Disability Awareness Day, which takes place Friday. The state originally signed a proclamation declaring this week the first Disability History Week, however Tile­ston said the event should be more about awareness and understanding. The Moffat and Routt county commissions, along with Hayden, Craig and Steamboat Springs city councils, have signed proclamations declaring this week the first Disability Awareness Week and Friday as Disability Awareness Day. Those who have purchased T-shirts for Disability Awareness Day can wear them around the community Friday to receive discounts at local businesses such as McDonald’s, the Village Inn and Kum & Go. Everyone in the community also is encouraged to “adopt” a disability for an hour or more to gain a better understanding of what it’s like to be disabled. Tileston recommended eliminating the use of one hand, blindfolding yourself or wearing heavy gloves. However, it’s important to use common sense and not put yourself or anyone else in danger while you are being disabled. Tileston works with people with disabilities every day at the Independent Living Center. The center is a nonprofit organization, community-based program funded by the Colorado Division of Vocational Rehabilitation. There are 10 independent living centers in Colorado, all of which cater to any kind of person with any kind of disability. They all are required to have board members and employees with disabilities. The building has a computer lab with special software that people with disabilities might need. They provide counseling and access to the computer lab free of charge. Tileston is grateful to have the support of the state and the community for pulling the event together. She said she hopes the event will be even larger next year and that everyone in the community will get involved in some way, whether they blindfold themselves or engage in a conversation about people with disabilities. From The Detroit News. In the picture, Todd Schaffhauser shows Gabrielle Farmer of Bloomfield Township how to do lunges with her prosthesis. Myles Davis dreams of becoming a professional basketball player -- if he can learn to run faster with his prosthesis. The 21-year-old Detroiter lost his leg to cancer when he was 8. Although he hops and skips, he still gets around fast enough to win gold medals in Paralympic competitions, a U.S. Olympic committee-sponsored competition for people with disabilities. Nevertheless, he dreams of a smoother, swifter gait. Today, he'll take his quest higher when he'll get more instruction from two of the world's fastest Paralympians, Dennis Oehler and Todd Schaffhauser, at the Amputee Walking School at the Detroit Medical Center's Rehabilitation Institute of Michigan. "I'm hopping right now," Davis says, "but when I can get that little speed, I look like I am running. They are trying to teach me how to do foot-over-foot running instead of hopping and skipping. That way, I'll be even faster." The Amputee Walking School, which also is sponsored by Michigan Orthopedic Services, is designed for everyone from young amputees who lost limbs because of violence or cancer to seniors who lost legs to diabetes. Some students will come to the workshop without the ability to stand on their own; others will arrive in wheelchairs, ready to try walking with their prosthesis again. But Schaffhauser says Davis' story illustrates what commonly happens to amputees: their insurance runs out and their physical therapy stops short of teaching them all they need to know to fully live their lives. That's where the pair, who travel the world running amputee schools, step in. "Myles has got the potential to be a Paralympic athlete," Schaffhauser said. "Along the way he didn't get enough rehab to do some things. It takes consistent instruction. We're looking forward to working with him to run step-over-step to run smoother and faster." Like Davis, Schaffhauser was diagnosed with bone cancer and had his left leg amputated above the knee. In 1988, he became the world's fastest above-the-knee amputee by running 100 meters in 15.77 seconds at the Paralympics in Seoul, Korea. Oehler lost his leg below the knee after being struck by a car in 1984, a few days before he was to sign a professional soccer contract. He set a world record, 11.73 seconds in the 100-meter dash, in the 1988 Paralympic Games. Their program started largely against their will 20 years ago when a prosthetic company in Texas contacted them about doing a workshop for four amputees. While they didn't want the job, the native New Yorkers' physical therapist convinced them any physical therapist could teach the class, but no one would be more effective than actual amputees who had transitioned from physical therapy to gold medal Paralympians. Since then, they've trained more than 12,000 amputees to walk and run. Linda McKinney, a senior physical therapist at the rehabilitation institute and an event coordinator, said they bring the clinic back every quarter because it's proven beneficial for clients. "These guys are so motivating," she says. "They tell a story about how bad they had it, how hard their therapists were on them. They show how to do something, and instantly the patients want to get up and try it. From The News & Observer in Raleigh, N.C. The National Association of the Deaf provides transcripts of what N.C. legislators said about the issue of deaf jurors. The House voted to send back to committee a bill meant to bring the state's procedure on seating deaf jurors into compliance with federal law. State law has been contrary to the Americans with Disabilities Act because it says deaf jurors cannot be seated as jurors. In practice, the Administrative Office of the Courts has advised judges and other court officials to allow deaf people to remain in jury pools and to have an interpreter assigned to them. Opponents of the bill, primary lawyers, have expressed concern that the bill could force lawyers to seat a deaf juror. "if you're going to be in court and you're going to have your case heard, you want to make sure you're being heard," said Rep. Bill Faison, an Orange County Democrat. Faison said his concern was over whether the change would force a lawyer to use one of their limited supply of peremptory challenges that allow a lawyer to reject a juror for any reason. Rep. Rick Glazier, a Fayetteville Democrat, said opponents were making much out of a bill that needed to pass. "This is simply a conforming change that we're required to do since our state has been out of compliance and illegal under the ADA," Glazier said. NFB opposes accessible crosswalk in Lawrence, Kan.
Crosswalk signals should be seen and not heard. That’s the sentiment the local area chapter of the National Federation of the Blind plans to express in an upcoming meeting with city officials August 15. Their concern is the recently installed Accessible Pedestrian Signal at the intersection of Sixth and Massachusetts Streets. The city installed the automated voice APS in April after a blind citizen requested it in writing for the northeast crosswalk at the intersection. Jim Canaday, vice president of the Douglas County Area Chapter of the National Federation of the Blind, said the APS was hurting citizens who were blind more than helping them. “A blind person who is travelling independently uses his or her ears to tell when its time to cross and when it’s safe to cross,” Canaday said. He said the traffic light may turn green but someone may be doing a right turn on red or may not be stopping on a red light. The automated noise masks the vital information he and other blind individuals use to keep themselves from being hit by a car, Canaday said. Currently, an automated voice repeats the phrase “Crosswalk is on” when the walking signal turns on at the intersection. Accessible Pedestrian Signals have been mass marketed since the mid-1970s for use in the U.S. as well as in parts of Europe and Asia, according to the National Cooperative Highway Research Project. The types of APS models available range from chirping and beeping noises to automated voices to vibrating surfaces, all of which are designed to provide additional information to the blind community. Canaday disagrees. Kayla Richardson, Wichita sophomore, is blind said she had used the crosswalks that had APS devices that beeped when the walk signal was on, but only every once in a while. “I think they are useful but sometimes they can’t be as reliable,” Richardson said. Richardson said that although she also preferred using her ears to determine when it was safe to cross streets, she did not agree with the NFB’s stance on the issue of the APS. David Woosley, a traffic engineer for the city Lawrence, said this was the first time the city had received this kind of accessibility request, but said that his department was aware of the type of equipment available. He said he had heard from the individual who made the request that it did make crossing the street easier at that particular intersection. Canaday said he had no ill will toward the city and said he believed they were doing a good thing in accommodating a citizen’s request. “It surprises a lot of people that the organized blind people are opposed to this and have been fighting this for years,” Canaday said. Chris Ridgway has become an unintentional inspiration to many. But don't remind him of that. He's just doing what he enjoys, and if it motivates others, so be it. It's not just his riding abilities that inspire people, but also his positive attitude. 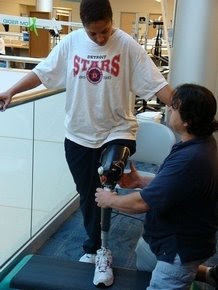 Chris is an amputee, and competes wearing a prosthetic left leg. The Apple Valley resident will be defending his title in the Moto X Super X Adaptive event July 31 at the Home Depot Center as part of X Games 15. The final will be televised on ESPN between 5-8 p.m. Sustaining severe injuries to both legs in 1995 after a motorcycle malfunction during a practice session, Chris was rushed to the emergency room. "The doctors told me that they would have to amputate the first night I was in the hospital, and I begged them not to; to give me a chance because I heal well," Chris, 38, said. He left the hospital with both legs, but still suffered. "I was in tremendous pain and still racing," he said. "In 1999 I had the points lead in the U.S. Hot Rod Off-Road Series and my leg broke again. I ended up finishing third in points." Chris was confined to a wheelchair for the better part of two years, except for when competing and wearing the riding boots that helped stabilize his leg. But he stayed positive. "I never got down. I was racing and knew what I was getting into." Doctors told Ridgway that he would have to change his lifestyle, as every step he took caused agonizing pain. When at an event in Phoenix, Chris saw what he wanted to do, thanks to a delivery person in the pits. "I was sitting with a fellow racer and we saw this Budweiser delivery guy. My buddy points to him and says, 'That's what you need.' I thought he was talking about the keg of beer until I noticed he [the delivery man] was wearing a full prosthesis. It woke me up when I noticed that he was walking better than I had been in five years." "I started asking doctors to amputate and they wouldn't. I basically was on the last doctor and threatened to take it off myself by shooting myself in the foot in their parking lot, because I didn't want to spend my life on pain medication." The doctor agreed to do as Chris requested, without his resorting to the drastic measure. His left leg was amputated in 2002. Ridgway continued racing, even though he didn't have the money to buy a prosthesis, landing a job racing cars for Emory Motorsports in Oregon. Team members did some research and told Chris about Limbs for Life, a nonprofit organization that buys prosthetic limbs for amputees who can't afford them. "Thanks to Limbs for Life, I've been able to reach my goals both personally and professionally," Ridgway said. "I spend time talking to people on the fence and try to help them out. I'd like to be more of a counselor to those who have also lost limbs. It's a very big mental hurdle, but motocross prepped me pretty well for it because it's like just another injury and not that big a deal." Chris certainly sounds like a motivational speaker, but doesn't like lofty titles thrown his way. "I get a little tired of the word 'inspirational' directed toward me, because I don't feel I should be put on a pedestal. I just want to help people get through it. My goal is to show doctors and others that it is a quality of life issue, and that they shouldn't be so hesitant to amputate." 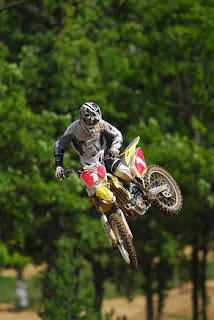 Chris continues to be successful in his racing career. He just won the Extremity Games for the third consecutive year, and after the X Games he'll be racing for the Trent Fabrication team in an off-road truck race in Grand Junction, Colo.
Chris doesn't let anything slow him down, nor does he have any trepidation. "Showering is the most dangerous thing I do these days." 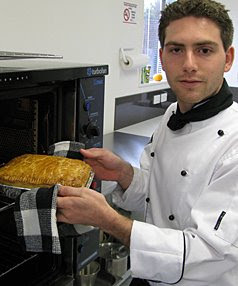 Blind baking is something Stanmore Bay’s Michael Erasmus, 22, does daily. Michael is fully blind in one eye, and has 5 percent vision in the other. But that hasn’t stopped him graduating from the North Shore International Academy, or opening his own gourmet pie shop in Whangaparaoa. In April Michael was the first blind person to graduate with a Culinary Arts and Professional Cookery National Certificate from the North Shore academy. His dream didn’t stop there. "My dad and I heard a lot about how Georgie Pie was trying to get their licence back from McDonald’s, and how people were complaining there were no pie places around. "That’s where the idea came from." Michael compiled six recipes for gourmet family-sized pies and has Rodney District Council approval to open his new business in Stanmore Bay. "I’ve always loved cooking. I loved every minute of it at the academy. "The biggest challenge was teaching myself how to handle knives, and the visual part of food was difficult. "I struggled to cut things in the same shape and thickness at the start, but I practised a lot and got it right in the end." Michael has been living on the Hibiscus Coast with his family for nine years and went to KingsWay School and Orewa College. With his first six basic recipes, Michael’s pies are 1.1kg and made from fresh ingredients, no monosodium glutamate, food colour, enhancers or preservatives. "There’s steak and kidney, steak and mushroom, mince and cheese, smoked chicken, chicken veloute and a vegetarian pie. It’s all real food and quality is my focus," says Michael. Businesses can call in before 10am on the day and place a bulk order for staff members to take home after they finish work. Or people can phone in to place their own order at least an hour before pick-up. A Falklands war veteran who lost a leg in a mine explosion has abandoned his record-breaking attempt to row the Atlantic Ocean after being rescued. John Mollison, 49, from Perth, was helped by coastguards and an oil rig support vessel after thick fog knocked out his communications systems. Technical problems also left him with no way to generate power. He set off from Massachusetts on 5 July with the aim of being the first amputee to row the ocean west to east. 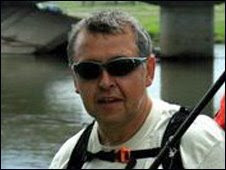 Mr Mollison planned to row about 3,500 miles to Britain and wanted to return to Perth via the Forth and Clyde canal and ultimately the River Tay. The start of his trip had already been delayed because of poor weather in the USA. He was raising money for the British Limbless Ex-Service Men's Association (Blesma). A statement on the website following his adventure states: "It is with regret that I confirm that Molly's quest has been ended. "In dense fog, in the deep of the night and rough seas, all communications were lost with no way to generate power due to technical malfunctions. "This left us in a suicidal situation to think about continuing as the boat could not be seen and with no communications a decision was made between the team, the Falmouth and Canadian coastguards to start a rescue mission with the aid of an oil rig support vessel. "With the use of their radars Molly was located and made safe." The number of people killed by those with a mental illness increased between 1997 and 2005, official figures show. The National Confidential Inquiry reported while 54 people were killed in England and Wales in 1997, this had risen to over 70 in both 2004 and 2005. It was murders by people who were not under mental health care which accounted for the increase. The head of the inquiry said the report must be kept "in perspective", but that the rise needed to be investigated. The research, which was funded by the National Patient Safety Agency, was carried out by University of Manchester researchers. It found that the number of suicides among in-patients had by 2006 fallen to its lowest level since data collection began in 1997 - from 219 to 141. But there were nonetheless hundreds of suicides over that period among patients who had left a ward without permission. The majority of these were open wards, although there were cases of patients absconding from secure units and then killing themselves. There were no homicides by people who had absconded from secure units in the nine years to 2005. There was however an increase in the number of perpetrators with symptoms of mental illness at the time of the killing, but not in mental health care. These symptoms included hypomania, depression, delusions and other psychotic manifestations. Of those who were psychotic, nearly 80% had a diagnosis of schizophrenia. The inquiry noted a rise in the number of homicides by people with schizophrenia - from 25 in 1997 to 46 in 2004. Professor Louis Appleby, Director of the National Confidential Inquiry into Suicide and Homicide by People with Mental Illness, said: "There has been an unexplained rise in the number of homicides by people with mental illness and we now have to try to understand why this has happened. "It is important to emphasise that the increase has not occurred in mental health patients. It is also important to keep these findings in perspective. "The risk of being a victim of homicide in England and Wales is around 1 in 1,000 and the risk of being killed by someone with schizophrenia is around 1 in 20,000." Marjorie Wallace, chief executive of the mental health charity Sane, said: "We are concerned by the disturbing increase in the number of people with severe mental illness, particularly schizophrenia, who commit homicide. "While such cases are extremely rare in comparison with the general population, we believe many could be prevented if mental health services provided better care and treatment. "These figures illustrate yet again the way in which the care in the community policy can fail to protect both patients and the public. "In many cases known to us, the person with mental illness had shown all the warning signs before the tragedy and the families' pleas gone unheeded." Paul Farmer, chief executive of mental health charity Mind: "Homicides by people with mental health problems are very rare, and account for only a small proportion of all homicides - contrary to the stereotypes, figures show that you have as much chance of being hit by lightning as being killed by a stranger with a mental health problem. "Although such tragic incidents do occur, there has been no increase in homicides by people who are in touch with mental health services, or receiving treatments. The stigma around mental health can stop people from asking for help, and this only stresses the importance of ensuring people feel they can come forward when in distress, and seek support." When Stephanie Deffinbaugh's five-year-old daughter Kristyn was diagnosed with severe dyslexia, the North Carolina parent felt a wave of relief that her child's inability to recognize letters wasn't due to laziness or bad parenting. The feeling was short lived. After four years of confrontation with her local school district, which refused to provide services for dyslexic students, Deffinbaugh finally sought refuge at the Exceptional Children's Assistance Center, the state's federally funded parent center. There, a parent educator guided her through the complex world of special education law, helping her understand her daughter's rights. "School administrators don't fear angry parents," says Deffinbaugh, who, armed with new information and a new attitude, was able to obtain the services Kristyn was due. "They fear knowledgeable, positive ones." That insight is at the core of a U.S. Department of Education-funded program called Parents as Collaborative Leaders, developed by Katharine Shepherd and Susan Hasazi, faculty members in the University of Vermont's College of Education and Social Services, and Paula Goldberg of the PACER Center in Minneapolis, which is earning national notice. The program — the product of a five-year, $900,000 grant that will formally run its course this fall — has turned a cadre of 25 parents of children with disabilities, including Deffinbaugh, into grass roots change agents, helping families in low-income communities around the country become more effective advocates for their special needs children. It has also become a model program, complete with downloadable teaching materials, that represents the hope of every researcher: its impact promises to live on beyond the grant. It's ironic that there is a need for a program that puts parents of children with disabilities back into the educational planning process, given the origins of the Individuals with Disabilities Education Act, or IDEA, the landmark legislation that guaranteed all children a "free and appropriate education." The 1975 legislation was the product of a civil rights movement of parent pressure, years in the making. What crowded parents out, says Shepherd, the principal investigator on the grant, was the rise of the very profession that was designed to help their children. Prior to 1975 special education was a fledgling field, she says. The discipline has "obviously been a good thing in a lot of ways, but there was such a rapid rise to professionalism, parents tended to get left out." To many people, including the majority of special educators (Shepherd trains special ed teachers at UVM) that now seems like a mistake. Parents bring passion, commitment, and in-depth personal knowledge of their child's disability to the table that immeasurably enhance the work of professionals, says Shepherd. Schools may have backed away from parent involvement for another reason, too: their relationship with families is often fraught. "When you're the parent of an exceptional child, there's a lot of raw emotion that can be very unpleasant," says Deffinbaugh. "I burned bridges in a lot of areas." Helping parents learn communications and leadership skills that allow them to tap their emotions, but also transcend them in important ways, is at the heart of Parents as Collaborative Leaders. The program has two components: an intensive, three-day training, attended both by parents and by the mentor each is assigned, followed by a year long internship the parent and mentor develop together. The three-day training is packed with information — part of it is a crash course on IDEA — and with exercises that emphasize listening, teamwork, and empathy and build skills such as conflict resolution and meeting management, all designed to move parents from a mindset of confrontation to one of collaboration. The internship places participants in the middle of a professional setting, complete with real life challenges, where they can practice their new skills and deeply absorb all the relevant information. Perhaps the most significant part of the program is the confidence it builds in participants that they can be leaders. They come out saying "I'm more assertive and more collaborative," says Shepherd. "I'm less afraid to ask for things, but I have the skills to do it in a more collaborative way." 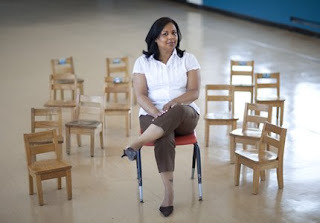 At the center of the teaching is a counterintuitive lesson: the less parents think only of their own child, "of their own personal beef, of some injustice being done to them or their child," as Shepherd puts it, in favor of a perspective that incorporates the larger issues, the more likely administrators will be to listen. The experience is especially valuable for the underrepresented and low-income parents for whom the program was designed, Shepherd says. "It's one thing for a professional parent who may use these same kinds of skills at work to know how to go do it at a school," says Shepherd. "It's a different thing for a parent who hasn't had that experience to know what to do in a school or in another setting." Parents as Collaborative Leaders is studded with success stories. One alumnus from the Sacramento area, for instance, organized parents to successfully lobby for state legislation that helped mainstream autistic children in California. Another, from Salt Lake City, organized a support group for the Learning Disabilities Association of Utah, later becoming chapter president and bringing an international learning disability conference to the state. And, generally speaking, the tenets and practices of the program have been institutionalized in the organizations — mostly parent centers — that graduates have been affiliated with. But the most compelling testimony to the program's value and potential lasting impact are the ways in which new organizations are seeing its promise and funding new trainings. Connie Hawkins, Deffinbaugh's mentor and the executive director of the Exceptional Children's Assistance Center, where she now works, recently received funding from the North Carolina Department of Public Health to create a program modeled on Parents as Collaborative Leaders for families of North Carolina pre-school children with disabilities. Another alum, Jeannette Christie (pictured), who directs the New York City chapter of the National Association for Parents of Children with Visual Impairments, and her mentor also received funding to clone the program, targeting it to parents of visually handicapped children scattered throughout New York's five boroughs. Shepherd and Hasazi assisted with the initial training, and Christie is now mentoring participants for the internship phase of the project. Shepherd was recently asked by the National Deaf Blind Project to train 100 parents of children who are deaf and blind in September and has a growing list of other requests. Then there's the Parents as Collaborative Leaders website4, which houses all the teaching and training materials created for the program. The materials have been downloaded more than 500 times. Connie Hawkins, who calls Parents as Collaborative Leaders one of the most effective parent education programs she's experienced in 25 years in the field, isn't surprised by all the interest. "Historically, parent leadership programs have provided mostly content knowledge with little or no skill development," she says. "What's exceptional about this program is that graduates have both the content and the skill to use it." According to Shepherd, a program like Parents is long overdue, helping counter the learned helplessness special education has unintentionally inculcated in parents over the field's 30-year history. "We've inadvertently taken away some of the power and expertise that parents have in their relationship with special educators," she says. "This project has helped to bring that sense of empowerment back. When parents feel like, 'Oh I can do this, I'm smart, I have skills, I can talk with these school people,' then suddenly they feel empowered, and when they know that they can also do it in a collaborative way and actually get better results, that's just a good feeling and a win-win."